Being a nascent industry in today’s business world, the transport sector saw an increase in the number of taxi-hailing applications, essentially solving the difficulties faced by customers in reaching promptly at their destinations. 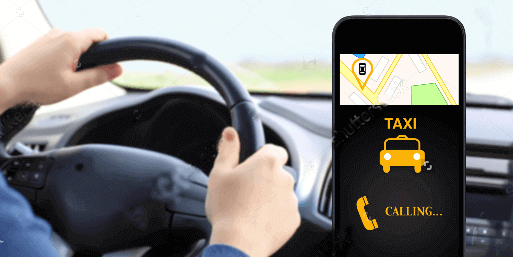 The taxi industry is flourishing with splendid potentials and is showing a major growth in today’s competitive world through initiating diverse advanced and innovative technologies. As apps like Uber and OLA are discovering a shared marketplace and a platform for the taxi industry, small taxi businesses are being forced to adapt the trending techniques in order to survive among the competitors. How did the traditional taxi service work? Taxis were considered to be the most expensive mode of transport, and had to shout out to hire a taxi or wait in phone queues to place an order for a taxi. Due to the complexity in ordering a taxi and its cost, people rarely opted to use a taxi for transport. Later the traditional taxi service, which has been in prevalence until the arrival of mobile apps, was adopted where consumers call the taxi network who own taxi brands and then distribute the leads to cabbies. The taxi operators sub-lease the cars to taxi drivers. Taxi drivers pay the lease and look for orders or drive around the city to see if they are flagged down by a customer. Nowadays, taxi hiring is made simpler with technology playing a major role. Taxi companies have adopted the technique of introducing mobile apps for booking a taxi. With the help of smartphones and tablets, one can hail a taxi in no time. With the advent of technology, taxi companies offer taxi-hailing applications that can be installed on smartphones and hail a cab conveniently. Once the app is installed, the users can easily register and start using the app that offers incredible features for booking a taxi. The passengers can make use of the GPS system to locate and track a taxi. The users can calculate the fare and select the vehicle type based on their requirements. The driver’s details also can be viewed by the passengers and can choose the driver they desire to ride with. A good taxi app eliminates the stress of booking a taxi through phone calls and waiting for long in case of emergencies. Taxi booking app has brought about various changes in the transportation industry and enhanced the use of cabs for people to have a comfortable ride. The taxi booking app is expected to reach better heights in 2017 with advanced features added to increase the frequency of orders. The update involves implementing latest technology to facilitate convenient and timely services for passengers. In future, by providing sufficient taxis to meet the order requirements and providing new regulations will enable the taxi industry to be more competitive. ← How Does Limo Services Add Luxury To Your Holiday Plan?